Rooted in an American spiritual and folk song of the same name, kumbaya refers, often disparagingly, to moments of or efforts at harmony and unity. Where does kumbaya come from? 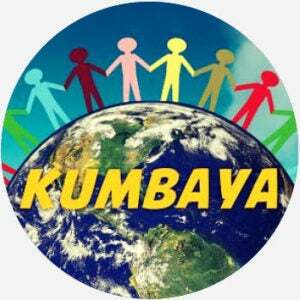 The term kumbaya originates in an African-American spiritual song from the American South. The earliest record in the Library of Congress’s American Folklife Center (AFC) comes from lyrics collected in North Carolina in 1926 for a song called “Oh Lord, Won’t You Come By Here.” The spiritual pleads for divine intervention—for God to come by here and help a people in great need, referencing an area historically connected to the enslavement and oppression of African Americans. The word kumbaya is taken from the song’s refrain. AFC folklorists and musicologists have identified other manuscripts and recordings in the 1920–30s that document the song’s spread from the Southeast US and evolution into the form we now know as “Kumbaya.” One prominent early version of “Come By Here” was adapted into Gullah (an English-based creole language spoken in coastal Georgia and South Carolina) which appears to have influenced the dialectical rendering of the song as “Kumbaya,” contrary to claims that the song and word themselves originate in Gullah. The song experienced newfound and mainstream popularity when artists like Pete Seeger and Joan Baez performed it during the American folk music revival in the 1950–60s. According to Stephen Winick, a writer and editor at the AFC, an Oberlin College-based band “known as The Folksmiths toured summer camps in the summer of 1957, and they taught ‘Kumbaya’…to thousands of American campers, helping to cement the song’s association with both children and campfires.” That’s to the fact that it’s so easy to sing and play, “Kumbaya” became a staple anthem of liberal activists in the 1960s. As Obama’s comments illustrate, kumbaya is often used in political discourse to dismiss efforts at consensus or agreement on complex, dug-in issues as too simplistic, unrealistic, or optimistic, i.e., joining together in song and hand might sound pleasant, but it doesn’t make thorny problems go away. It often appears in negative expressions like “we can’t just sit around and sing Kumbaya” or “nobody’s holding hands and singing Kumbaya.” A kumbaya moment, however, can indicate a rare, positive moment of bipartisanship in politics. Kumbaya often acts as a sarcastic modifier; something overly kumbaya is too hippy-dippy, sentimental, weak, or out of touch with the gritty challenges of the “real world.” Kumbaya also enjoys some usage as a verb, e.g., “to kumbaya one’s way through a tough situation.” The song “Kumbaya” also appears in popular culture as a summer camp trope and as a mockery of naive idealism.